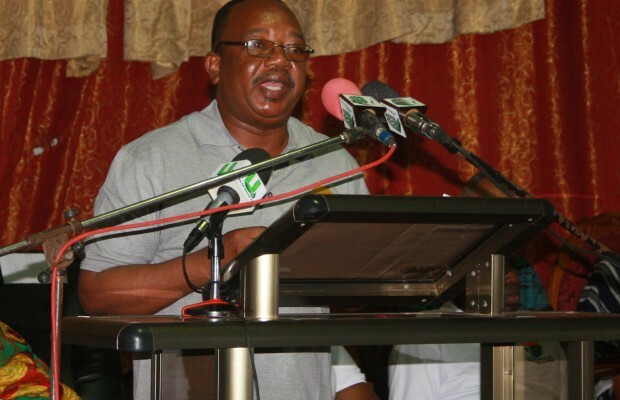 Dr. Alfred Tia Sugri, Deputy Minister for Environment, Science, Technology and Innovation, has announced that Ghana will ban the production, importation and exportation of products containing mercury by the year 2020. According to Dr Sugri, the ban would forestall the hazardous effects of mercury on the citizenry and protect the environment. This would be in accordance with the Minamata Convention on Mercury, which Ghana signed in 2014 but is yet to ratify and implement. The Deputy Minister made the announcement during National Stakeholders’ Inception Workshop on the Ratification and Early Implementation of the Minamata Convention on Mercury in Accra on Thursday. The workshop is part of initial steps that would assist Ghana to ratify the convention. The Minamata Convention is to protect human health and the environment from anthropogenic emissions and release of mercury and mercury compounds. It is expected that the Convention would enter into force after 50 states have deposited their instruments of ratification, acceptance and accession. The Deputy Minister stressed that for the country to effectively implement the convention, there was the need to strengthen the existing capacity and infrastructure for sound management of the chemical and its associated waste. He said plans were far advanced to introduce the hazardous and electronic waste control and management bill in the country to domesticate the chemical related conventions. Dr Abugri expressed the hope that the Convention would be considered thoroughly to make the bill a comprehensive one. “We hope Ghana would be supported by way of technical and financial assistance, capacity building and technology transfer to successfully meet our obligations as required in the convention,” he asserted. However, the Executive Director of Environmental Protection Agency (EPA), Daniel Amlalo, said the workshop presents an invaluable opportunity to discuss the elements of the convention and the strategies that could be adopted at the national level to make the Minamata Convention an instrument for action and promote sustainable development. The Minamata Convention, which owes its name to a tragedy that occurred in Japan in 1956 in Minamata city in which 900 people died from a mercury spill into a river, with 2,265 people still suffering from mercury poisoning, represented a global step to reduce exposure to mercury and a strong commitment of governments and institutions never to repeat the tragedy. Mr Amlalo noted that some of the products containing mercury include thermometers and blood pressure devices, dental fillings mercury amalgam, as well as some chemicals used by ‘galamsey’ operators. “Signing the instrument therefore is an admission of our commitment to the international community to achieve the objectives of the convention,” he emphasized. The event was organized under the auspices of the Environmental Protection Agency (EPA), United Nations Institute for Training and Research (UNITAR) and funded by the government of Switzerland and Friends of the Nation (FON), an NGO. He commended the Swizz government and FON for their kind assistance.